I have a question about this guitar. My grandfather was the owner of this guitar, after his passing it was handed to me. 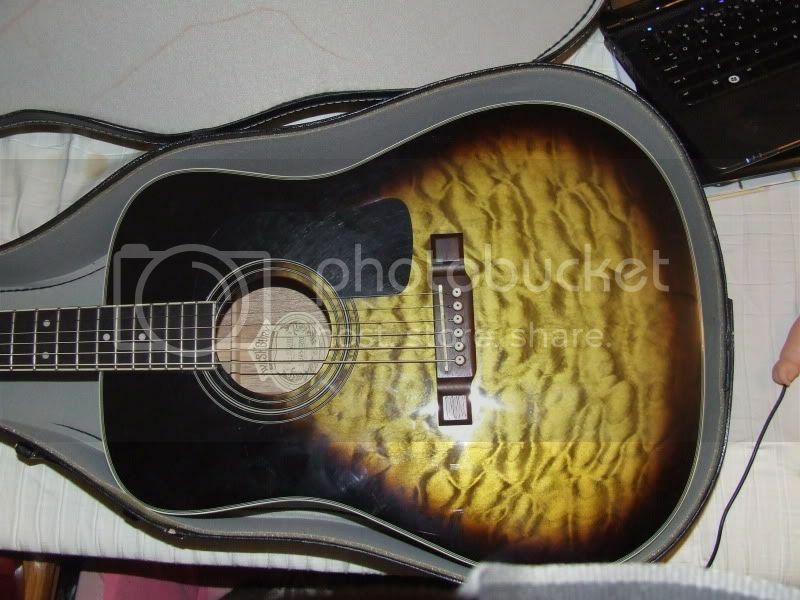 I was doing some research on it and all of the images I've seen the body (sunburst) is a reddish brownish color, the guitar I have it's more of a yellow goldish color. I was wondering if there were different colors of this model made or if it's possible that this guitar is a fraud. If anything could it have been a custom guitar, everything else on the guitar matches the descriptions except the body (sunburst) color. If a picture is needed I'll gladly take one and post it. Any help will be greatly appreciated. I would like to add that this is a truely wonderful guitar, it has a very beautiful tone. I decided to go ahead and add a picture of it. Here it is. Again any help would be greatly appreciated. Thank you very much for that information. I couldn't find anything about different finishes. I dont plan on ever selling the guitar, it has more value to me than it will ever be worth. Would it be possible for you to refer me to a place to get a sence of a value using the serial number or by other means, either free or cheap? I've been looking around but I am finding huge price ranges ranging from $150 to $700. And those are prices I've found for new D10Q/SB's. Thank you Pike. I greatly appreciate the help.